The 50th Anniversary of the IFBB Mr. Olympia contest took place in Las Vegas, Nevada from September 17th-20th, 2015. The biggest weekend in Bodybuilding had its share of surprises both onstage and off. 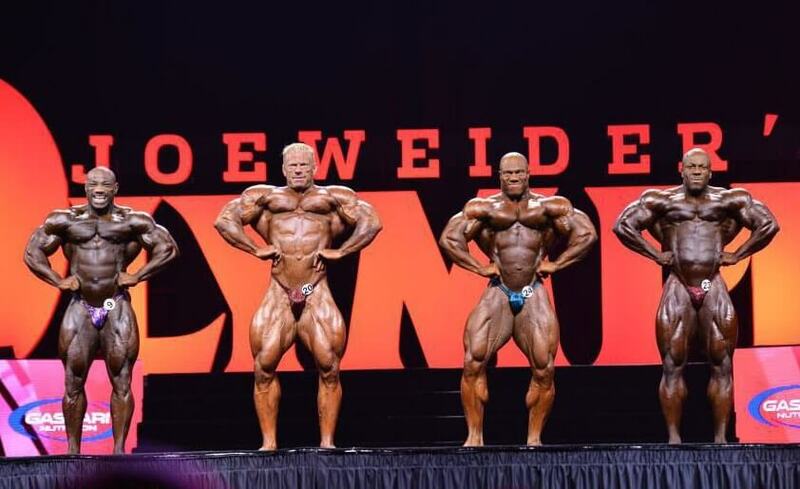 Below are some of the highlights of the Olympia weekend in 2015. With the exception of the Figure Olympia, every returning champion in each division won again in 2015. Phil Heath won the Mr. Olympia for the fifth consecutive year, James “Flex” Lewis won his fourth 212 Olympia title, Ashley Kaltwasser won a third Bikini Olympia, Juliana Malacarne repeated as the Women’s Physique Olympia champ, Oksana Grishina cemented another solid win in the Fitness Olympia and Jeremy Buendia was victorious for the second year in a row in the Men’s Physique Olympia. The only exception to the reigning champions was the emergence of Latorya Watts (picture above) as the new Figure Olympia winner. Latorya has one of the most genetically gifted physiques in the bodybuilding world with an extremely small waist and hips and wide shoulders. When she emerged onto the scene after winning her pro card at the 2013 NPC USA Championships, she was a new type of physique, one that had never been seen before. In her first year as a pro, the judges seemed confused on where to place her because her physique was so different and unique from anyone else onstage. She took third place at the 2014 California Pro and fourth at the Tournament of Champions before placing fifth at her first Figure Olympia. This year, however, the judges moved her up to first place as the new champion. Embracing her unique and incredible physique as the new standard of Women’s Figure, Latorya could be as much of a dominating figure in this division as Phil Heath is in Men’s Bodybuilding. Unless she comes in off, she’s going to be very difficult to beat. For the second year in a row, the reigning champ Phil Heath (picture above) appeared very vulnerable at the prejudging on Friday night. Always one of the most confident and boisterous competitors onstage, Phil was noticeably off his best condition as he went through his mandatory poses. He patted his flat stomach as he walked onto the stage to perform his mandatory poses, as if to say “no stomach bloat this year”, in reference to one of the criticisms he received after his 2014 victory. However, although the stomach was flat, the rest of his physique also appeared similarly flat and withdrawn. As the prejudging progressed, Phil was compared to top competitors Dexter Jackson, Shawn Rhoden and Dennis Wolf. Not one of the widest bodybuilders onstage, Phil appeared even more narrow than normal due to his flat condition. He was beaten in several poses, including the front double biceps and front lat spread, and looked to be in real danger of losing his grip on the title. Never before in recent history had a reigning Mr. Olympia looked so mediocre. If a newcomer to the sport was watching, they most likely would not have picked Phil Heath as the current champ in the line-up. Fortunately for Phil, he was able to make remarkable progress before the finals on Saturday night and pull up far enough ahead to retain his title. Unlike the dominating physique he presented from 2010-2012, Phil Heath seems to be having a difficult time learning how to peak and improve his condition from year to year. He is certainly leaving the door open for a potential upset. There are several young and hungry wolves ready to take the title from him and, if he keeps missing his peak by such a wide margin each year, “The Gift” might have his present snatched away from him. 3. Dexter Defies the Odds! The story of the year at the 2015 Mr. Olympia contest was the magnificent condition of 45 year old Dexter Jackson (picture above). Dexter, the 2008 Mr. Olympia winner, continues to improve his physique despite moving into middle age. 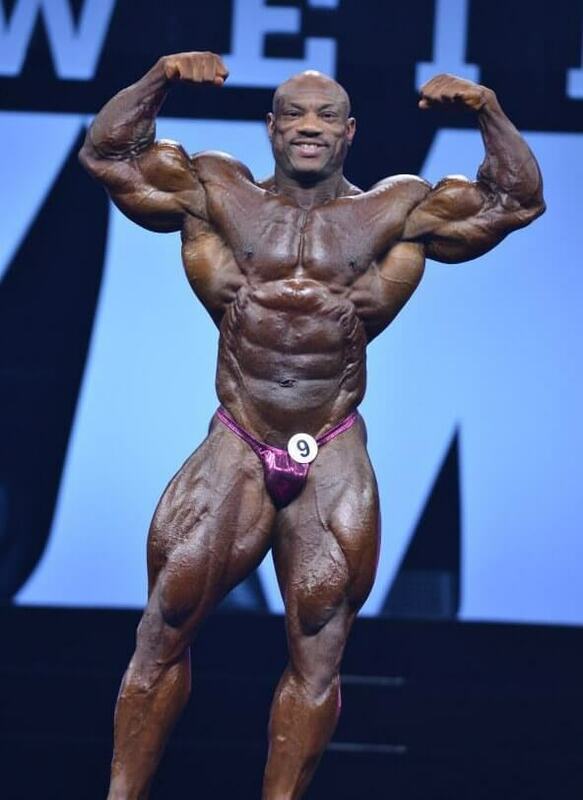 Competing in his record breaking 16th Mr. Olympia contest, Dexter moved up to the runner-up spot this year and no one would have complained if he would have been announced the winner in place of Phil Heath. Dexter began competing as a professional bodybuilder in 1999 after earning his pro card the year before. His record of consistency and longevity places his solidly in the record books as a true legend in the sport of bodybuilding. How he continues to improve year after year, even after having won the title of Mr. Olympia seven years ago, is astounding. Dexter has pushed himself even harder these last few years in order to compete bigger and better than he has ever been. He now eats a solid off season diet, designed to build quality muscle mass each year and he lives out in California for at least six months in order to train with Charles Glass as he prepares for the Mr. Olympia. This increased level of dedication and discipline has paid off in a new and improved Dexter Jackson. For Dexter, age is clearly only a number. His goal now is to win the Mr. Olympia contest again before his career is finally over. He is aware that the clock is ticking and he is in the twilight of his competition days so he wants to go out a champ. This year, Dexter looked to be even bigger and better than ever before. Although he was only placed fourth after the Friday night prejudging, Dexter improved enough one day later to bypass both Shawn Rhoden and Dennis Wolf and take the runner-up spot. Dexter is now the “people’s champion” and he should not be counted out for next year. Perhaps the biggest story of the Olympia weekend revolved around someone who was not even at the show. Kai Greene (picture above), the runner-up at the Mr. Olympia for the last three years, decided to sit out the big show this year. The reasons behind his absence are still unclear but, according to the official report, Kai did not sign the athlete’s contract in time so he was not allowed to compete. Of course, this was a huge disappointment to his millions of fans. Kai is arguably the most popular bodybuilder competing today and, after taking a close second place to Phil Heath for the last couple of years, many people felt that he had a good chance of becoming Mr. Olympia this year. In the days leading up to the Mr. Olympia, Kai came out with a heartfelt video at 2 a.m. in the morning in which he claimed it was unfair that he was not being allowed to compete in the Mr. Olympia this year. The video went viral and was one of the most talked about topics of the day on social media. In the end, the fans of bodybuilding were the losers from Kai Greene deciding not to compete. 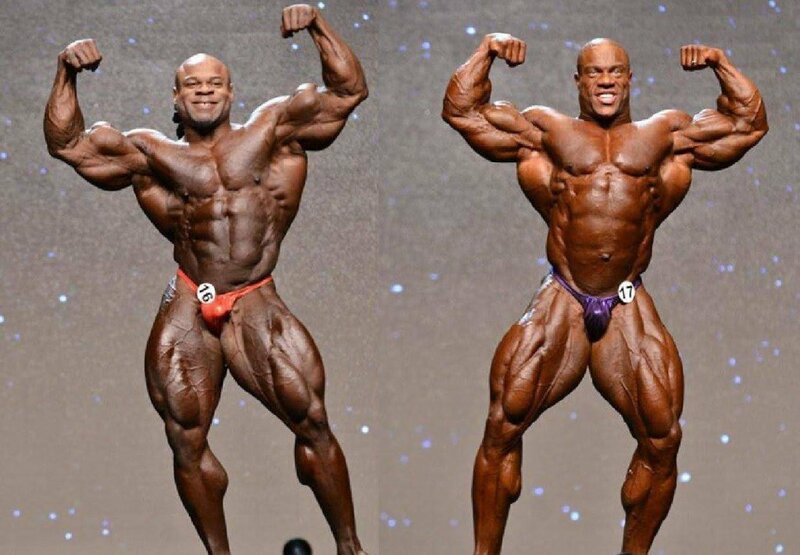 Kai’s amazing size and thickness was always a threat to Phil Heath and their rivalry was one of the most heated and genuine in the bodybuilding world in years. Phil was perceived as the cocky and arrogant champion while Kai was seen as the sensitive and caring underdog who literally came from the streets (a storyline that was the basis of the docudrama “Generation Iron” in 2013). Will Kai Greene be back and how will this decision of his to sit out the Olympia be viewed by the judges and his fans? Only time will tell but many fans think Kai made a bad choice by creating so much drama and not competing in the 2015 Mr. Olympia. It will take a lot to win the favor of the bodybuilding world again after this dramatic interruption in his career. Mamdouh Elssbiay, aka “Big Ramy” (picture above), has been one of the most talked about bodybuilders for the last three years. He emerged onto the bodybuilding scene in 2013 as one of the biggest bodybuilders on the planet. Big Ramy earned his pro card by winning the Amateur Mr. Olympia title one year earlier but no one took notice of that event. However, when his then coach Dennis James began talking about him to the bodybuilding media, he got everyone’s attention. Standing under six feet tall, Big Ramy was enormously big, hovering around 300 pounds in contest condition. No one had ever seen a bodybuilder this big come onto the scene from out of nowhere. That year, Big Ramy won the coveted New York Pro show, defeating top IFBB pro Victor Martinez in the process. However, when Big Ramy made his Mr. Olympia debut months later, he didn’t create the shock waves that so many expected and he slipped under the radar placing a respectable eighth place. 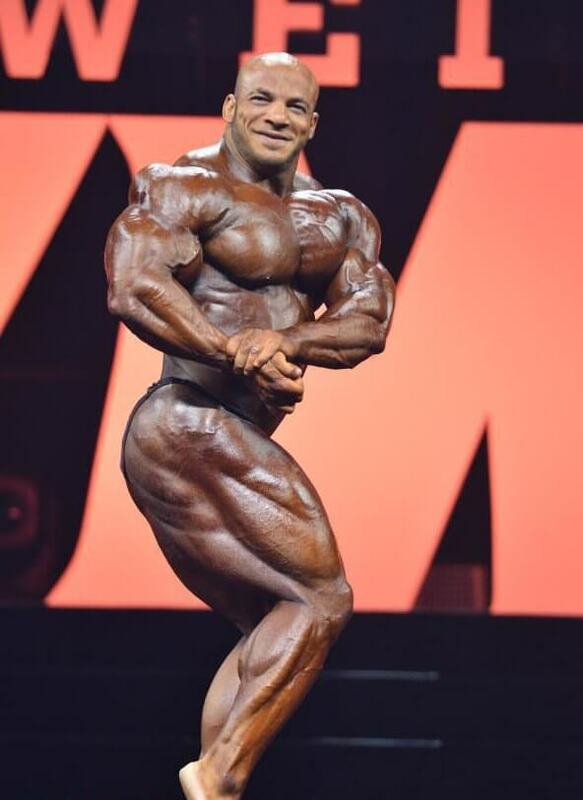 Now competing in his third Mr. Olympia contest, many expert insiders feel that Big Ramy is just a lot of hype, as blown out of proportion as his massive 35 inch thighs. At the athletes meeting, Big Ramy stepped on a scale in front of witnesses and tipped out at an unheard of 316 pounds! When he finally arrived onstage on Friday night, the crowd was in awe of the truly massive proportions and immense size of this promising bodybuilder. Lacking detail in his huge physique for the third year in a row, the bodybuilding world is anxiously waiting to see if Big Ramy can get his act together and really shock us with a physique that is capable of dominating the Mr. Olympia contest. Twenty pounds less fat on this monster of a man could spell doomsday for the rest of the genetically gifted competitors. As it is now, we are all forced to wait another year to see if Big Ramy can get the expert advice he needs to finally bring in the winning Mr. Olympia physique that we can only dream of presently. Let’s keep our fingers crossed for next year!